Much happiness. The Shulim Cycle Book of Susan is finished and released. And I have to toot my own horn a little bit on this: I have used lie and lay correctly. Seriously. I searched through the book very carefully for every iteration of lie and lay, poured through websites for references as needed, and made sure that I used it correctly each time. I even got to use had lain. But I digress. It was important to me to get something so small right because, well, it is a huge pet peeve of mine when people don’t. I even wrote about how to properly use the verbs some time ago. Remember? So … I thought it would be really foolish of me to use it incorrectly. If you don’t believe me, click the link up above and buy the book. And yes, this has been an elaborate “I just published my book, go buy it please” post. I hope that you enjoyed! In my head, the title sounds funnier because the Permanent Editor and I were playing a game called Dokapon Kingdom with the kid. This game is basically the Monopoly of Wii … which is to say it is a game that will split a family. 🙂 Anyway, when you do certain level-ups the character will say “Promotion time!” and it is really cute. So, I am gearing up for the release of The Shulim Cycle Book of Susan in November. If you want to help, please pledge to spread the word via Thunderclap. It’s easy. Just pledge and if I meet my pledge goal, then the message will go out automatically on whichever social networks you choose. Simple. And I will be grateful if you do that. If you decide to pre-order when that opens up at the end of October, even better! Edits, Revision, and Rewrites, Oh My! Thought I would give an update to where I am with The Shulim Cycle Book of Susan. That is the editing draft I am on now, with the Permanent Editor finishing the last chapters of Draft Four and soon to begin the chapters finished so far (1 as of this posting, but I’m into 2) once those are done. Whoever says that self-published authors don’t edit did not meet me. Personally, I find it easier to edit something not my own work but … one does what one needs to. So, what great insights do I have from this edit? So, I have finished editing draft three of Shulim Cycle Book of Susan. Have you missed me, gentle readers and fellow writers? Never fear. I’m still around. Work … oh work. Life has been busy. Somewhere in between I have been working on The Shulim Cycle Book of Susan and trying to get StreetWraith Press going again. 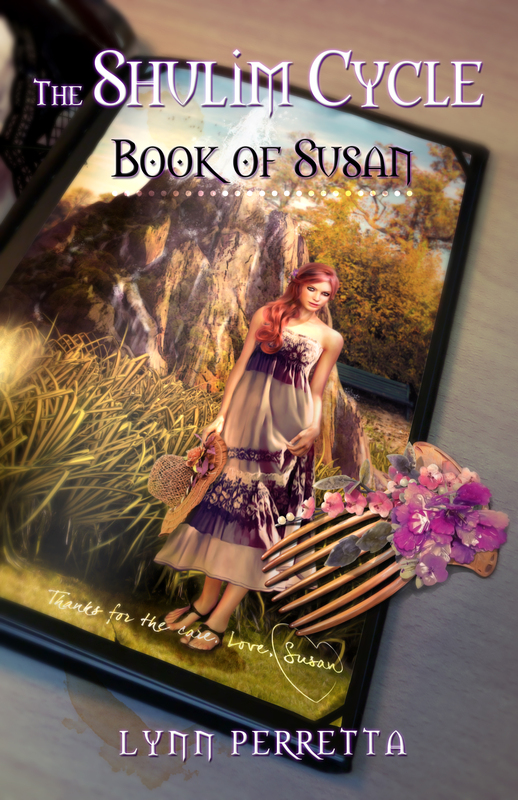 To update … I’m still working on Book of Susan. I’m taking my time with it, allowing myself the time to make sure I have every scene I want in the book. I’m also trying to save up for professional editing. We’re hoping for an Agent, but I’ll be happy to self-publish it once its done. I’m thinking, if I can swing it price-wise, that I may have Book of Dahlia professionally edited as well. It still has a few mistakes in there and could use a bit more polish that I’m capable of. Draft two is done. I am so happy. It clocks in at over 144k words. For those keeping track… yes, that is about 50k more than the first draft. I had some scenes that needed to be added, a few things that needed to be expanded upon. Right now, though, preparing to do the first of the line editing. Hopefully the Kickstarter goes well, and I get the copy edit I want. For now, though, I am relaxing. Writing is hard work. The new cover art by Catherine Nodet is finished. I cannot even describe the way that I feel. Seeing the vision of the cover and how it is interpreted is beyond words. That said, I will allow the art to speak for itself. If you like what you see and want to become a patron, there are still 39 days left. I’m $290 towards my goal, but with Kickstarter, it is all or nothing. So, why not fall in love with Susan and become a patron? I’m taking a moment for self-promotion – I know… on my own blog, right? I have launched my Kickstarter for The Shulim Cycle: Book of Susan. Anything you can do to support would be wonderful, whether that be donating or spreading the word. 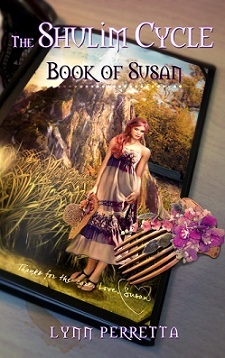 You are currently browsing the archives for the The Book of Susan category.